LET'S GROW TOGETHER! LEARN MORE ABOUT US AND WHY WE ARE THE RIGHT CHOICE FOR YOU. 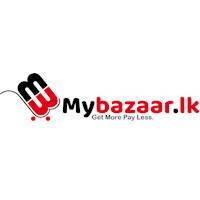 We, Mybazaar.lk have planned to improve this business not only Sri Lanka but also all over the world and the achieving higher customer satisfaction is our main ambition. Once you purchase anything from us, you are authorized to check the quality of the item you purchase at the time of purchasing and your comments even if it is an unfavorable are welcome and you can share it to our Facebook page and finally it will help us to improve our service.